Proprietary Name: Equaline Allergy And Congestion Relief What is the Proprietary Name? 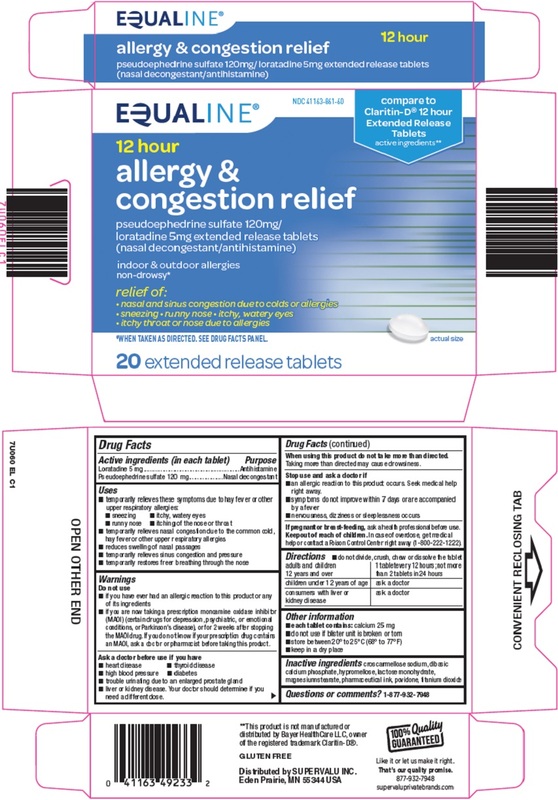 Equaline Allergy And Congestion Relief with NDC 41163-861 is a a human over the counter drug product labeled by Supervalu Inc. The generic name of Equaline Allergy And Congestion Relief is loratadine, pseudoephedrine sulfate. The product's dosage form is tablet, film coated, extended release and is administered via oral form.